Fun Fake News: Bill Cosby Does Shakespeare’s Othello? Or Does Trial by Mass Social Media Via YouTube, Twitter and Facebook Major Fail Continue? Bill Cosby Does Shakespeare’s Othello? Or Does Trial by Mass Social Media Via YouTube, Twitter and Facebook Major Fail Continue? That’s right. Bill Cosby has turned to the Bard to defend himself against the mounting accusations made by more than a score of women; all claiming to have been drugged and raped by the famous philanthropist, doctorate holder and comedian. This after Bill Cosby failed to rally social media to his side by calling for memes to defend him. Instead, they attacked him with memes. 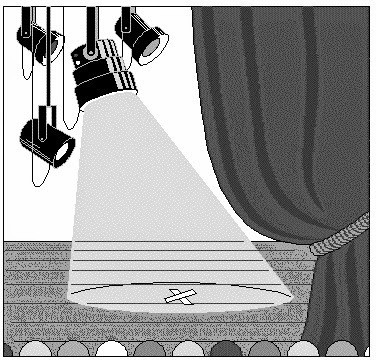 Therefore, this time around, he is turning to the more traditional media: the stage. In addition to producing an Off-Broadway production of a classic Shakespearean play, Bill Cosby has agreed to play the staring role, portraying Othello himself. However, it is reported that the production of Bill Cosby’s Othello has been delayed. Bill Cosby has also run into some difficulty casting the role of Desdemona, Othello’s beloved and allegedly drugged counterpart in the play.